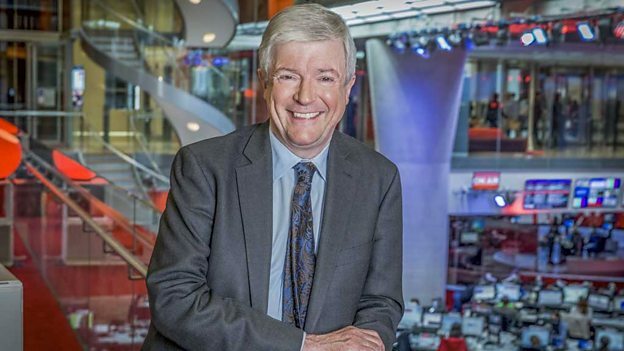 Speech given by Tony Hall, BBC Director-General, at the BBC Radio Theatre in London on Tuesday 8 October 2013. Ladies and Gentlemen, colleagues and friends. Six months ago I came home. I came back to the BBC to work with some of the best journalists and creative talent in the world as we face perhaps the greatest challenges in our history. My job – our job – is quite straightforward. We are going to show the British public, who pay for this service, that we know – and will never again forget – what we are here to do. We are here to serve the public, not be served by them. We are going to do some of the greatest, boldest, most imaginative work of our lives. We are going to bring the wonders of new technology to millions. We are going to ensure that the BBC is well managed, robustly but with simplicity and with directness. We are going to reward courage and truth telling rather than back-covering and caution. This is an organisation brimful with people who feel passionate about serving the public. In my first few months it’s been my aim to meet as many of these people as I can. From Orkney to Plymouth, from Mid-Wales with the Springwatch team to a quarry in Hertfordshire with BBC Films – and in so many other places here and across the UK – I have talked with people who share my passion for this organisation. Who are proud to say they work for the BBC. Who are dedicated to the idea of public service broadcasting. To be given the right to be funded by a licence fee is a tremendous privilege. The people of this country make a bold and generous commitment in paying for the BBC. They own it, they love it, and they expect only the best from it. Every day we are going to show that we are worthy of that commitment. Today, I want to talk about the future, about new ideas and a new relationship with our audience. But it would be wrong not to acknowledge that we do that in the shadow of some very serious failures – in the shadow of what happened over Savile and the pay-offs. No organisation as big as ours can avoid making mistakes. But I want to ensure that when we do make mistakes they are caused by trying to serve our viewers, not by looking after ourselves. The BBC will welcome criticism and learn from it. We will not be defensive. We gain enormously by being part of the most vigorous journalistic and creative market in the world – and clearly we'll have more to say about that later in the week. We don’t have all the wisdom. We need to listen and reflect and change when change is necessary. But I will be there to support those who reach for what the BBC can be at its best. I don't want people to progress simply by stopping things happening and ticking boxes. I want everyone in BBC management to see it as a creative job – an enabling job – an inspiring job – helping people to give of their best. But if this is all we do, it will not be enough. If all we do is make sure the BBC is at its best, at its simplest, that it expresses its values clearly in its work and behaviour – it won’t be enough. Because the other great challenge we face is to change the BBC as the world around us changes. We have never been afraid of change. We’ve never feared new technology. We’ve always embraced it, because we know it creates new opportunities to inform, to educate and to entertain. So, we will now change again. I’m not proposing today to lay out some grand theory of broadcasting or to provide a guide to everything we want to do or say. I prefer to be simpler than that. I want the BBC to be simpler than that. We will rest our case for the BBC on the quality of what we do and the excellence of the service that we provide. I believe that the case for the BBC is really a very straightforward one – a very pragmatic one. We have produced, and continue to produce, some of the very best programmes and services in the world. Our audiences wouldn’t want to be without the BBC. To people of every land, the BBC proclaims the liberty, originality and creativity of the British people. At the core of the BBC’s role is something very simple, very democratic and very important – to bring the best to everyone. Wherever you are – whoever you are – whether you are rich or poor, old or young, that's what we do. And it’s something I've always believed in – when I was growing up on Merseyside, when I first joined the BBC and in my last job at the Royal Opera House. Everybody deserves the best. But to do that in the future we need to understand how our audiences are changing. How we can serve them better. A bit of video I was looking at recently stuck with me over the past few months. It showed a toddler sitting up holding a magazine. She tries to swipe it – she tries to expand it – she bangs it to try to make it play. Nothing happens. And in frustration she throws it away. To a toddler a magazine is a tablet that’s broken. That’s how this generation is growing up. It will have a totally different set of norms and behaviours. Almost every teenager today has a mobile and it’s this device they value most, not the radio or the television. Expectations are changing. When something big is happening, people don’t want to wait. The public want news they can trust about what’s going on wherever it is in the world. Now. In the palm of their hand. And then they want to share it and they want to talk about it. Users of the BBC – our public – want control, to find out things that matter to them, to search out something special. And they know that new technology means they can find it, whether it was recommended by a friend or suggested by an algorithm that knows what they liked. Our audiences demand to be involved, to share with others, to debate with others. They want less distance, more involvement. To my mind, these are the most exciting trends in the media today and we’ve only just started to work out what they’ll mean – but also what we could do. Media people often use the word ‘disruption’ for things like this. To me, it’s the wrong word – disruption may be what we feel inside this industry. But for the public – out there, using what we do – this is empowering. It’s becoming a golden age of media. Some facts. More than 9 million devices accessed BBC Sport Online on transfer day. 40% of requests to the iPlayer now come from mobile devices – 40%. A couple of years ago the figure was just 6%. We had one and a half million requests for our sitcom Bad Education before the first programme had even been broadcast. What a great opportunity this is. And we’re going to embrace it just as we embraced television, just as we embraced the internet. Just as we created Freeview and the iPlayer. We are going to reinvent what we do, bit by bit, step by step, to serve this new audience. So what does this mean for the BBC of the future? What might we look like on our hundredth birthday – in 2022? In some ways, we’ll look the same, we’ll be the same. We would still be the only public service that pretty much everyone chooses to use each week. We would still be the place everyone goes to for the big events. We would still be the pre-eminent provider of trusted news and information, not just locally, not just nationally but all over the world. And, of course, we would still be famous for our drama, for instance, and natural history. But in other critical ways we will look quite different. The iPlayer would be the best online TV service in the world – and the front door to many people to the whole BBC. Globally we’d reach more people: half a billion would be coming to our news, culture and information service. We would be recognised the world over for what we do in music, the arts and the world of ideas. We would be Britain’s catalyst for creativity, helping the UK’s amazing array of arts and science institutions to reach new audiences across the globe. And we would have a two-way, closer, warmer relationship with our audiences. People would think – not ‘the BBC’, but ‘my BBC, our BBC’. That, to my mind, would be a BBC that had reinvented itself, still confidently informing, educating and entertaining but in a very different way. It would be a BBC worthy of its one hundredth birthday, a BBC to be proud of, a BBC whose best days lie ahead of it. The key challenge - the core of what we have to do - is to harness our power to create - our power to innovate. And innovation has been a part of the BBC from its very foundation. You have to refresh, to regenerate. I suppose you can't be the home of Doctor Who for 50 years without learning something about regeneration. The iPlayer is the best in the world – but we want to make it even better. We want it to transform it from being catch-up TV – to online TV. So, starting next year, we will reinvent the iPlayer. So, we’re going to give you more content, more opportunities to watch our shows, making them available for free not just for seven days – but for thirty. We will give you the chance to see programmes before they’ve even been broadcast and 'first on iPlayer’. Imagine if you had the evening’s recorded schedule at your disposal – so you could sit at home and be your own scheduler, picking what you like, when you like, from our channels. And because we know people often want to go back and see older programmes – sometimes classics, sometimes more recent – we plan to launch something called BBC Store, a new commercial online service which will offer people in the UK the chance to buy a whole range of programmes to watch and keep forever. At the end of a programme, the iPlayer just used to ask if you wanted to watch it again. It’s a funny request, really. We can do so much better. And we’ll be able to do that because we’ll know who you are. We’ll suggest more of what you might like. But also more of what you wouldn’t have guessed you’d like. We’ll surprise you. Challenge you. We will demonstrate we can do public service broadcasting on iPlayer as much as we have done on television and radio. I also want the iPlayer to be a new home, for instance, for Radio 1. Radio 1 is no longer just a radio station. It’s already filming sessions, interviews and programmes that live online. Its audience can now listen, watch and share its music performances. So, I want to see a Radio 1 video channel on the iPlayer, alongside BBC Three, providing brilliant original content. We want to harness the energy of the YouTube generation. We’ll invite them in to the BBC and fund them to make brilliant programmes. We’ll free them from the conventional commissioning process and encourage them to experiment and make original online content so they can inform, educate and entertain – each other. And music will be another way we serve this new generation. Our radio stations are great at finding new music for you to listen to. Now we want to do that online with a new idea – called BBC Playlister. This will allow audiences to tag any piece of music they hear on the BBC and listen to it later. We're working with streaming services – like Spotify, YouTube and Deezer – so that you can keep all your favourite music in one place, enjoy it across whatever devices you’re using, wherever you are and, we hope, help you discover and share new music. Playlister speaks to one of our great strengths – Britain’s great strengths – music. But we’re also famous in the world of ideas. To take one example, last week’s In Our Time brought three world experts together to talk for forty-five minutes about exoplanets. A brilliant, mind-expanding programme. I want everyone in the world to have the chance to listen to this. Last year, we launched the iPlayer Radio app for UK users. Now we’re going to take the next big step, making the app globally available from next year. And we’re going to unlock all the fantastic speech programmes on Radio 3, Radio 4 and the World Service from their schedules. We’re calling this project Open Minds. It’ll be the home of intelligent content for curious people with an amazing range of output shaped to fit your life. ‘Tell me what’s new in science’. ‘Fill my train journey with great ideas’. We’ll work with great British institutions – like the Hay Festival – to bring in their seminars, interviews, and special events and help them to speak to the world. The best of British thinking, on any device, anywhere. So. The new iPlayer, BBC Store, Playlister, Open Minds. This is going to be a bold era of BBC innovation. But all of this depends on one thing above all – and that’s creativity. I want us to celebrate the best of British originality, ingenuity – and even eccentricity. This is fundamental. Everything else depends upon it. The BBC has always wanted to make the good popular and the popular good. It’s right to do this. But the good doesn’t always have to be popular. Sometimes it’s just enough to be amazing. We must have the confidence to back great ideas or a person with something special to say. Drama is vital to the BBC and to all our audiences. And in Britain we are lucky enough to live in a country where this is something we are very very good at. What a golden period this is for television drama across the world. Often using British talent – from Homeland and House Of Cards to Broadchurch, Top Of The Lake and Sherlock. But we’re not an organisation that wants only one hit a year. We’ll make sure we offer a range of series, long and short. We’ll offer long-running drama and sometimes single dramas – a breadth of story-telling that no other broadcaster in the world can rival. I’m really looking forward to seeing Benedict Cumberbatch back as Sherlock – and the brilliant Mark Rylance in our adaptation of Hilary Mantel’s Wolf Hall. And there’ll be more shows like Luther, Call The Midwife, The Syndicate and Doctor Who that all audiences love. It’s what people expect of us. And we’re good at it. And then there are the Arts. You would expect me to care deeply about the Arts and you would be right. Done well, I believe that the Arts can move and inspire people like little else. They remind us of our capacity for wonder and delight. Last summer chairing the cultural festival for the Olympics I saw first-hand just what an extraordinary country this is for the arts. I believe the BBC is the world’s best arts broadcaster. But I want us to do even better. So we will be making more arts programmes on television. We’ll make sure that the arts don’t disappear into niche channels by bringing more landmark arts shows back to BBC One and also to BBC Two. I want people whoever they are and wherever they are to have access to the best live music and arts events around the country. So a new peak time television programme will take people to festivals and events around the country to showcase our amazing cultural scene. Like the Edinburgh Festival, or as we did this year with Proms Extra. I also want to bring some of the best theatrical performances from all over the UK to BBC Television. And Newsnight will also be keeping its finger on the pulse of the Arts today. And we will re-launch The Space, our pioneering online partnership with Arts Council England, where we’ll work with artists and performances from all creative industries and art forms to commission new kinds of digital art and digital performance, and to find the next generation of talent. And I’m delighted that a wide range of arts organisations – large and small, in London and around the country – are ready to work with us on new commissions, like the British Library, Fuel, Cornerhouse and the Tate, for instance. The BBC must be the risk capital for the UK’s creative industries. The Space for the Arts. The wonderful BBC Films. And I want the same in music. The BBC broadcasts a huge amount of music across radio and television. But I want to be recognised for what we do – for BBC Music to be a brand that stands proudly alongside BBC News or BBC Sport. This year we offered live streaming from every stage at Glastonbury by joining up our services in a new way. Our audiences loved it. I loved it. I watched on my phone. Glastonbury reached more viewers and listeners on that one weekend than had attended the festival in its entire forty year history. And we're going to do more like this. We’ll be working with the industry to develop a new BBC Music Awards. We run an amazing array of new musical talent schemes – like BBC Introducing, Young Musician, or Radio 3’s New Generation Artists. Every year we’ll bring them together so that the stars of the future get their chance to perform and shine on the biggest stage. And we’ll launch a nationwide initiative to inspire school children with classical music, using our orchestras to bring the music to life. The BBC matters because it can be the best in the world. Not just in one genre, but in many. Natural history. Science, history programmes. Comedy. Children’s programmes. And, of course, news. I’ve spent a good part of my working life in BBC News. I believe in its singular importance. And while I want BBC News to be alive to its critics, I don’t want BBC News to be cowed by them. Instead, the challenge is to take what is, to my mind, an extraordinary and unique organisation – and make it even better. This means earning the respect of our audiences through the intelligence and the courage of our reporting. A generation ago, we set out not simply to tell people what’s going on in the world, but to try and explain it. Today, we must also examine it. As we’re doing with the economy. Or the Scottish referendum. I want to renew our commitment to investigative journalism. I believe that datajournalism gives us new ways to understand the society we live in. And citizen journalism and social media can get us closer to the story of what’s really going on. And, from our local radio stations in England to our news programmes in Scotland, Wales and Northern Ireland to our global news operation, that’s what we are here to do. I want us to make the most of BBC News around the world. We have a global news powerhouse in this building. In the past month, we all saw it at work in the BBC’s unparalleled reporting from Kenya and also inside Syria. What we don’t always see so clearly is that over the past 80 years, we’ve built a global news service that is trusted, respected and relied upon by a quarter of a billion people around the world. Our ambition is to double our global audience by 2022 to half a billion. We’re going to do that by improving the quality of World News on television and online. We will deliver more regional output to get closer to our audiences in different parts of the world. And we will use bbc.com to reach new audiences too. If informing the world is vital to the BBC so is educating. I feel passionately about this. Every year I want a big educational project with national impact. Next year we’ll be telling the extraordinary stories and legacy of World War One. And in 2015, we want to inspire a new generation to get creative with coding, programming and digital technology. Here’s why. The next year, 2016, I want us to celebrate Shakespeare. We’ll find the gems in our archive: our extensive television and radio collection of Shakespeare’s plays and poems, programmes about Shakespeare, as well as scripts, stills and production notes. We will make these available to schools across the country to help young people understand Shakespeare even better. But as we transform the way we offer our programmes and support creativity, we won’t lose sight of what’s already working. TV channels are not going away. They are a relaxed, easy way of watching with your family. Someone else has done their best to suggest a range of programmes that you might want to watch. The BBC’s channels are, in a way, social media in the true sense of the term. So we think channels will be here for a long time to come. And we have big plans for them. We want BBC Two to be broad and popular, finding the next Great British Bake-off as well as the next series like the Story Of The Jews. We want BBC Four to return to its original role – a channel of culture, wit and ideas. Casting a light on the niche and quirky and making the most innovative content on British television. But any plan for channels starts with BBC One. Above all BBC One needs to be on top form. It has to be the nation’s favourite channel, and also its bravest. In particular, I want drama and entertainment to thrive on BBC One. We’ll be investing more in those genres over the next few years so that all audiences find something they love on the BBC. We’ll also look to launch a BBC One +1 channel – it’s what audiences expect, especially younger ones, and it means people can get more of what they’ve already paid for. But as well as making our channels better we’ll make them work better. Channels will be different in the future. You’ll be able to go back in time – through the backwards programme guide on YouView, for example. You’ll be able to go into the future or create your own schedule from programmes we release early. Channels will know what you like and what you want to watch next. Through our Connected Red Button you’ll be able to get extra coverage. Or content we’ve made specially for online. Straight to the TV. Nothing can bring the country together quite like television. And so we want the BBC’s channels – and BBC One in particular – to be a place where we can share all our national moments. That’s why we brought the FA Cup back home to the BBC. And it’s why we’re going to rethink how we cover big events. The phrase 'Live on the BBC' will tell viewers that the experience is going to be a special one. There are some big ideas here. We’ll need to draw on the best talent from the BBC, independent producers and the creative industries to make them happen. I want us to work in genuine and meaningful partnership with the creative sector – helping business, not hindering. We’ll also have to use our own resources better. The licence fee is frozen to 2017 and we’re sticking to that. That means we have to save 16% by the end of that period. We’re planning to save more than that – another 4% – to invest in the future, the ideas I've talked about this morning. But we’ll have to find more again to do everything I’ve outlined today – up to another £100 million a year by the end of the Charter. I know people won't find it easy – the organisation has been through some tough times already – but I'm certain we can do it as the prize is what I've outlined today. And that must be worth it. That will mean some hard choices. We’ll look at our investment priorities. We’ll examine every penny we’re spending today and redirect resources – money, people – towards our new priorities where we can. We’ll ensure we have the right people in the right places doing the right things. We’ll make sure that everyone who should be paying the licence fee is. We'll need to put some of the biggest new ideas or budget changes to the BBC Trust for approval. And we are going to simplify the organisation and improve the way it works. I want it to be clear to everyone, inside the organisation and outside the BBC, who is responsible for major decisions and projects. And we will be getting rid of at least half of our pan-BBC boards to simplify the organisation still further. I hope today you’ve got a real sense of where the BBC is going. You’ll have noticed some core themes: more incredible content and more ways than ever to watch and listen. But you will also have noticed another trend: towards a much more personal BBC; something different perhaps for every single one of us. Not one to everyone, but one to one. If we get all these ideas right, we’ll be taking a step into new territory – we will be inviting the audience into the BBC. No longer a paternalist BBC, but a personal one. Audiences will be invited to sign in. They’ll get personalised recommendations. They’ll be able to rate our programmes, to discuss, participate and vote. That will influence what we commission, when we schedule, how we run the BBC. They can become their own schedulers, our next creators, our future innovators. This is the start of something. I don’t know where we’ll end up, but I want to start the conversation. At the moment we treat audiences like licence fee payers. We should be treating them like owners. That’s what I meant when I said that we wouldn’t be THE BBC, but My BBC, Our BBC? The public owns us and that is what it needs to feel like. We wouldn’t just be inviting audiences to sign in – we’d be asking them to join in. That’s the kind of BBC I want to build for our hundredth birthday. Last month we all lost a broadcasting legend. Sir David Frost was everything the BBC aspires to be. A BBC that is both personal and global. With channels and the iPlayer reinvented. With audiences and great programmes at its core. A BBC renewed, bolder and much more confident about the mission Lord Reith gave us. With its best days ahead of it. Look at this building to see what I mean: a place where once men in dinner suits spoke into foot-long microphones – now one of the most advanced, networked, interactive digital hubs in the world. And that is why I've come home.